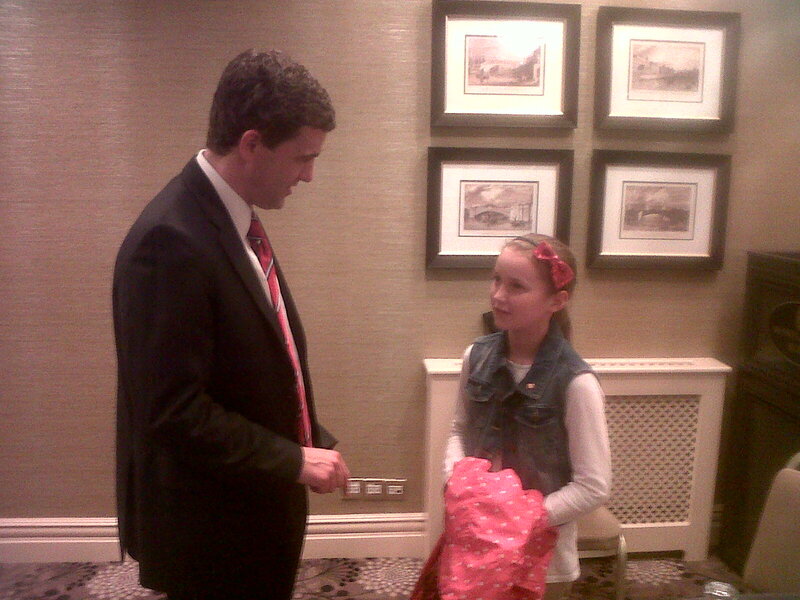 Senator Daly today with eleven year old Úna McGeogh, who today addressed the Oireachtas Foreign Affairs committee with regard to her Father, Gerry McGeogh, who is currently serving a prison sentance in Northern Ireland. Miss McGeogh presented a case for his release, based on the terms of the Good Friday Agreement. Mr. McGeogh’s health is said to be in deterioration due to the conditions of his detention at the present time.